I obtained my BSc (Hons) in Biological Sciences from the University of Reading. As I came directly from an undergraduate degree, outside of KCL, the 1+3 programme setup offered by the DTP really appealed to me. There is a huge choice of projects and my first year has enabled me to gain lots of laboratory experience, learning different techniques, but also experiencing different research groups. Within the DTP, everyone is very friendly and it really feels like you’re part of a team. The socials are a great opportunity to catch up, share experiences and have fun. 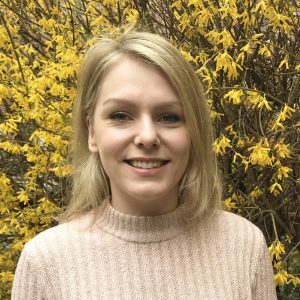 My research experience includes my Undergraduate third year research project and a summer placement at KCL working in the lab of Professor Sue Brain. Theme 1: Elucidating the crosstalk between lymphocytes and intestinal epithelial cells using human mini-guts (Professor Graham Lord and Dr Joana F Neves). Theme 3: Investigating the protective role of CGRP in cardiovascular disease (Professor Sue Brain and Dr Manasi Nandi). Theme 3: Characterizing platelet purinergic receptor activity as a therapeutic target in critically ill patients with systemic inflammation and sepsis (Dr Simon Pitchford and Professor Clive Page).